See more Natural Waistcoats and gilets. 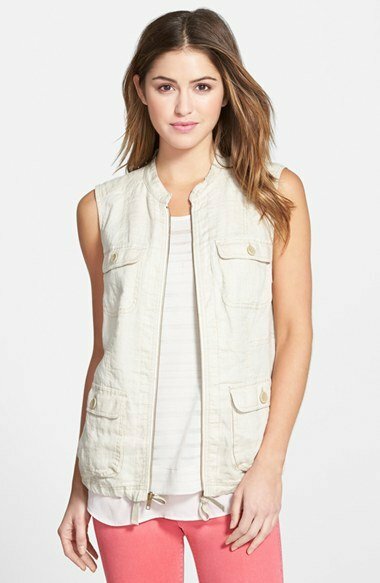 Caslon's linen vest will lend your capsule wardrobe fresh appeal. 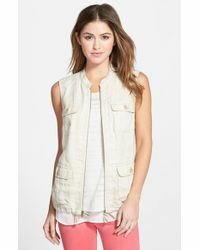 Detailed with a quartet of buttoned pockets and a drawstring hem, this sleeveless design is ideal for layering. Finished in ivory, this utility jacket will add a sophisticated edge to casual outfits.